Effective Cat Flea Treatment: Which Ones Really Work? Cat flea treatment helps to get rid of those pesky annoying little bugs called fleas. There are several different types of products that you can purchase to rid your cat and your home of them. Cat fleas attack your cat by laying their eggs into their fur. These eggs then hatch in several days and try to dominate your cat's body and bedding. If you notice that your cat is excessively scratching and biting their tail, loosing patches of hair, or have small black specks on their body or bedding, then it's time to take your cat to the vet,they may have fleas. Flea powder can be sprinkled on your cat, carpet, floors, furniture, and lawn to kill fleas. The powder dehydrates the fleas and their eggs which then kills them. This is an effective cat flea treament because the little particles of powder can easily reach hard to reach places where these little bugs can easily hide. Some cats hate products that have a scent, so make sure to choose an odorless flea powder,especially if your cat is sensitive to scents. Also make sure to carefully read the ingredients on the package to make sure that the flea powder you are buying isn't too harsh for your cat. Some flea powders are extremely strong and filled with harsh chemicals, you want a product that works, and that is an effect cat flea treatment, but that won't make your cat sick.It's best to ask your vet for a recommendation of an effective, safe flea powder. Flea shampoo are shampoos that contain medication to kill the fleas and eggs that are on your cat. This type of cat flea treatment is very strong and although it's effective, it doesn't always react well with some cats. Due to the strength of the shampoo, it's design to kill fleas at all stages of their life, it may cause your cat to experience itchy and skin irritation. When using this product you will have to give your cat a bath, yes the dreaded bath, and rub the shampoo all over your cat's body, then throughly rinse off your cat.If you suspect your kitten has fleas, do not use the shampoo method, it's way to strong for kittens, ask your vet for another cat flea treatment that will be less harsh on your kitten. Flea topical products are flea treatments that are applied once a month on the back of your cat's neck or shoulders, and is then absorbed into the blood stream of your cat.Popular brands of topical flea treatments are Advantage, Revolution and Frontline. This type of flea treatment can be very effective, but is also strong,so your cat needs to be monitered closely when administering this treatment. 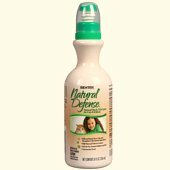 This type of flea treatment works very similar to the powder.You simply spray it on your cat, making sure to avoid their eyes or mouth. It kills the fleas and their eggs. Once a month your cat can be given an oral treatment, which can easily be added to your cat's food. 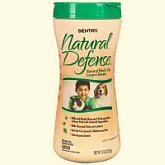 This product, like the topical, enters your cat's blood stream, this prevents the fleas from hatching because of the ingredients in the product. An oral treatment could be combined with a treatment that actually kills the fleas that are trying to hatch the eggs, but talk to your vet first to see what he/she recommends. After your vet confirms that your cat has fleas, you will need to treat your home against this infestation. You may want to get a professional pest control service to come in and spray your home, if your going to do it yourself, get the least toxic cat flea treatment and remove all of your pets,this includes fishes, from your home for the day. 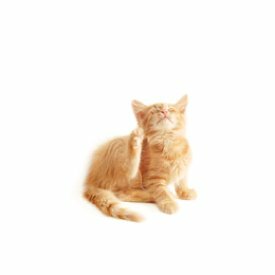 Cat fleas are one of several different types of common cat illnesses that cat owners should be aware of, for a list of others read Common Cat Health Problems. How To Treat And Prevent Worms In Cats - Discussing worms in cats treatment options and prevention. Common Elderly Cat Health Problems - Examining several different health problems that affect senior cats and treatment options.